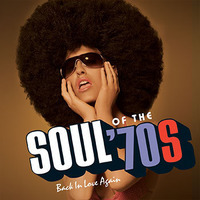 I recently saw an informercial for this collection of 70's soul hits and I was blown away by how many great artists and songs there were , most of which I remember from a.m. radio while riding aound in my car with one of those old push button radios. There is so much great stuff here, The Spinners, O'Jays, Temptations, Four Tops, Stylistics, Marvin Gaye, etc. If you click on the link and listen to the samples, you will see what I mean. I am definitely going to order this! You know, I never gave those songs any serious consideration in the past but as I listened to them I have to say, they are very good. Good enough to warrant a visit to iTunes for sure. There are many, many more from that period, most of which you will probably remember, and they are just mellow, catchy, soulful pop. I will post some others, because I always liked this stuff, and still do! Wow! and I mean Wow!!!! let's get it on man!! Please tell me you only posted Leo Sayer because of the connection to Chrysalis Darin and not that you truly like him! Should I post a Richard Simmons workout video? ACTUALLY.......the day I heard edit 8 of APP (Overseer) on the radio I was still trying to digest what I just heard as the weirdest damn Tull song I could imagine,......when that Leo Sayer song came on the radio.........I was a little pissed. It became a huge hit and you couldn't get away from it, it was everywhere. It scarred me deeply. So I was just attempting to excorcise the beast, as it were. As long as we were approaching some kind of a disco, dance groove thing going on I thought I' d throw that on the fire. now though I have an image of Jeff dancing to the OJays in his living room dressed in dark blue silk PJs! Even the great Pink Floyd had the bug.. Thank God our Tull were not fazed by this trend!! Here they are at the height of Disco Fever! He does have a creepy resemblance to RS doesn't he? And, incidentally, this happens to be a decent idea for a thread, because it examines what else was happening on the music scene during the time that Tull were at their peak. First Charlie and I do NOT "conflate" together at all!. Secondly, it was someone else (Tulltapes) that brought in all the "Disco". My post was Leo and that was in 1973 (at the height of Tulls popularity btw) waaay before disco. Thirdly Leo and your posts had one thing in common….they were all R&B. I think someone else here can help you with proper "Soul" music. I 've never been a huge fan of the top 40 R&B I grew up hearing. But since were there, how about this one? Believe me "on your case" is not somewhere I want to be. Well I certainly know R&B from disco but I wasn't trying to compare the two. It was just a secondary thought that I had when I saw ABBA. Don't ask me why but this thread got me thinking of this track, which is really a song about having your priorities in order. I can only suggest two truly superb acts that blow the rest away: War (listen to the albums The World is a Ghetto and Why Can't We Be Friends) and Stevie Wonder (nearly every album in the 70s but particularly Talking Book, Innervisions, Fulfillingness' First Finale and Songs in the Key of Life). Utterly amazing and on par with any rock bands of the 70s for both composition and musicianship. I have to admit not just a guilty pleasure but also the fact that for about 10 years I worked in my spare time [pretty successfully] as a DJ in a pub in south London playing in the main soul of all types. The UK had it's own brand of soul which is still popular today. Northern soul promoted lesser known US singers/bands and tracks as well as UK based singers and bands. Although releaseed in 1980, one of the more ecelctic UK soul bands were Dexy's Midnight Runners, lead by Kevin Rowland, an odd character at times but someone who no doubt could have been more successful post the 'too-rye-ay' album [Come on Eileen] if he hadn't lost his way. I remember he once spoke very positively about Ian and Tull in an interview.